In the heart-space of the Self. Atman is used interchangeably with Self in these Sutras. Atman refers to the universal Self that manifests as a proliferation of rays emanating from itself. These rays are not different from the nature of their source, but only take on the appearance of separateness. Kundalini is the supreme conscious energy manifesting as an individuated person (jivatman). Paramatman is the Absolute. Both are Atman. It is the merging of Atman into Atman, like the merging of waves into water, that is the goal of spiritual practice: the union of the individual and the Divine. The Absolute, the Supreme, Paramatman, Brahman, the Self are all synonymous with Atman in these sutras. The image of chidakash is also central to Nityananda’s teaching as given in these Sutras; the word is formed of the roots chit, consciousness, and akasha, space or sky, and is thus poetically translated as the sky of consciousness. It is synonymous with hridayakasha, sky of the heart. Chidakash is an experience; it is a state of consciousness in which perception is objectless and limitlessly vast, a state in which the individual and the universal are in complete union. In various disciplines, this experience of Oneness may be called samadhi, turiya, nirvana or shunya. Nityananda also called this “heart-space of the Atman” the Brahmarandhra, and the sahasrara chakra, the thousand-petaled lotus; for him, these were all the same. They all refer to that secret point in the head where the light of consciousness shines in its purest form. When an individual’s kundalini energy is completely roused, it merges into this place in the head. The awakening that occurs in our understanding at that time reveals our complete and total unity in the Divine. When we realize that we are in God and that God is in us, then there is nothing outside of us. All knowledge is accessible from within. Why do you hold an umbrella? For protection from the rain. And a steadfast mind is the handle. Truth is in everything but few people realize it. The Self does not come from Maya. But he is not the king. It is a reflection of the Self. The mind is two grades below the Self. But the Self has no end. The dense, the dynamic, the still. Such qualities apply only to the mind. As the river is to the sea. The Self is the sea, its water measureless. The Self is without beginning or end. The Self does not come and it does not go. Wherever you turn, it is there. Even before you were born, there was creation. pure and perfect balance. In man, these gunas are found in a state of instability. Sattva causes moments of inspiration, meditative calm, quiet joy, and disinterested affection. Rajas brings out constructive activity, energy, enthusiasm, and physical courage as well as ambition and rage. Tamas is associated with the lowest qualities such as sloth, stupidity, helpless despair, obstinacy and the like. The source of liberation is Shiva. The linga in the head is Shiva. Enlightenment is the most important thing. The still point at the top of the head. The form of discrimination is intelligence. The source of liberation is pure consciousness, the awareness of our real Self. The linga in the head is the seat of this pure consciousness. The linga is a stone symbol in the shape of an egg which is the iconography for Shiva as Absolute Potential. It is egg-shaped to represent the unity of the universe—its internal consistency and its formless presence in all direction. Thus, the linga has no corners or edges; it is all Om. It has no face because pure consciousness has no face. The linga in the head corresponds to the medulla oblongata, or brain stem, at the junction between brain and spinal column. This is the still point in the head, the place where the ida, pingala, and sushumna meet. For Nityananda, the Shiva linga, the Brahmarandhra, the prana linga, the sahasrara are all the same: the Abode of Shiva, the doorway to God. Pingala is the star channel on the right. The star nadi is green. They join in the sky of the heart. In time, the Om sound is heard in the head. Nadis are the channels of creative energy, of conscious energy. Within the Self, the vibration of Omkar interacts with itself and gives rise to different currents, just as the constant movement of the ocean interacts with variances in depth and temperature to give rise to the currents that flow within it. The currents, though individual, are still water, they are not different in essence from the ocean itself. Our physical being can be compared to a current in the ocean of Omkar, and the nadis are the channels for the flow of this conscious energy that is the essence of the mind, the emotions, and the physical body. The nadis are the subtle body. And it is awareness of these nadis that leads us to the recognition of our true nature: the Self. 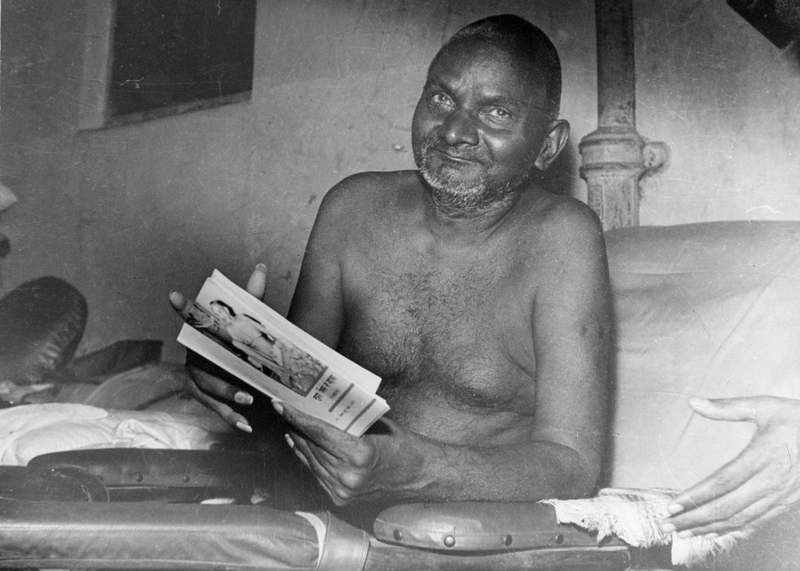 As Nityananda describes, there are three major nadis. The conscious, creative energy of life flows unceasingly through these channels. As listed in the Sutras, these nadis are associated with colors as well as with celestial bodies. Samadhi is the upward breath, the God within. You will find the entire universe inside. In all creatures the upward breath is the same. Whether sitting, talking, standing, walking. Raja yoga is the highest yoga.